For the final day, we made a few changes. The first time, all the robots had trouble pushing the statue up the ramp. The changes for this year were partly to see if anyone could actually complete the whole challenge for the final day. Once they had deciphered the scroll from Thursday, they knew the sequence the statues had to be moved onto the pressure plates. What we didn't tell them, was which statue was which! At first, they thought the diagram would solve it for them, but the diagram we used only had a picture of each statue, no labels. Finally they decided to just start working and wait for more information. While the teams were working on their own, I dropped off a scroll for each team that said something like "Bravery is to the right of Wisdom" or "Honor is to the right of Wisdom". No one team had enough information to solve the puzzle. It was great watching them try to figure it out. 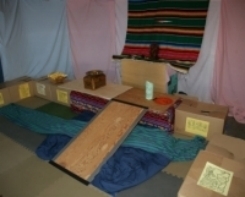 The FTC team (Tomb Raiders) was the first team to realize that they might all have to work together to solve puzzle. Once they had all the scrolls, they had got three pieces of sticky paper with the words on it and started kept rearranging them until they got the right sequence. All the teams knew which statue was which, now they just had to figure out how to move them according to their own sequence. Our ramp was four ft long and set at a 25 degree angle. It's less of an angle than the book called for, but it worked with the materials we had available. We set the King's statue at the top of the ramp. There wouldn't be a lot of room up there, but the robot was suppose to climb the ramp, then move the King's statue onto a pressure plate. 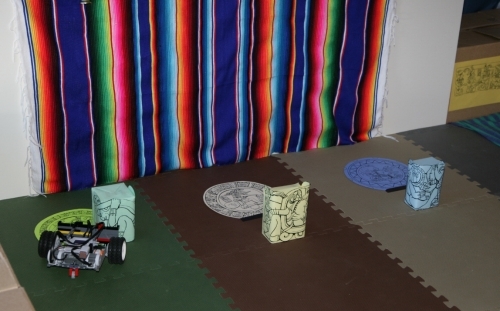 The Mayan Monkeys had to move their statues in the sequence green, yellow, blue. They looked at the challenge and decided to just move the first statue. It was worth as many points as the other two combined. After getting the first statue on it's plate, they headed back to the ramp and made it all the way up and onto the tomb. They were the only team to make it up to the top! Team Teamwork created a robot, called Fun, that had problems going straight. Sometimes it would go to the left, other times it would drive straight. Their sequence started with the blue statue. They did get their statue onto it's pressure plate, and started to climb the ramp. The Tomb Robber's robot was named Tomb Raider. It made good use of the compass sensor in a complex series of tasks. Even better was their new design for the third wheel. Nice design for the ball as a third wheel. They used Tetrix parts to surround it, so that it stayed with the robot when it was picked up, but could still move freely. Their robot got stuck in among the statues and needed rescuing. They had a separate program to climb the ramp, so they tried it and were able to get part way up the ramp. It was a good final day and we all had fun. The kids learned lots of new stuff. 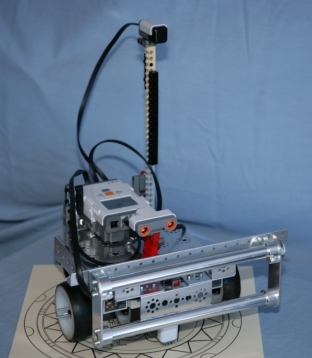 Our newest member has now been part of building 5 robots and discovered she likes to program. Our experienced team has become much more skilled at using sensors. Finally, the FTC team has learned how to build with Tetrix and program in RobotC. 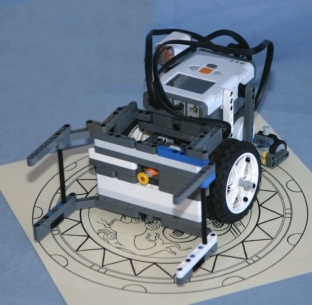 The FTC team had so much fun, they decided to offer it as a Mayan Adventure Robotic Camp for kids in the community. They're going to follow the book more closely, and definitely want the kids to have to build string bot! The camp fees will raise money for their FTC team expenses. They've been busy planning challenges and writing up building and programming tutorials for each day. As we were working through each of the days, one of the kids looked up and said "Did you guys really spend this much time planning our week?" It's been a great experience for them to begin to see the amount of work that goes into supporting their team activities. 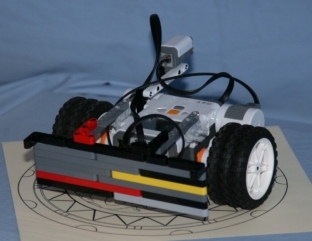 Find out more about how to plan your own Mayan Adventure Robotic Week. nice site. i am a complete new comer and have no idea how to guide my kids to get into this interesting stuff. i would be thankful if u could guide. This page contains a single entry from the blog posted on July 9, 2009 8:21 AM. The previous post in this blog was Robot Week Day 4. The next post in this blog is July 2009 Newsletter.